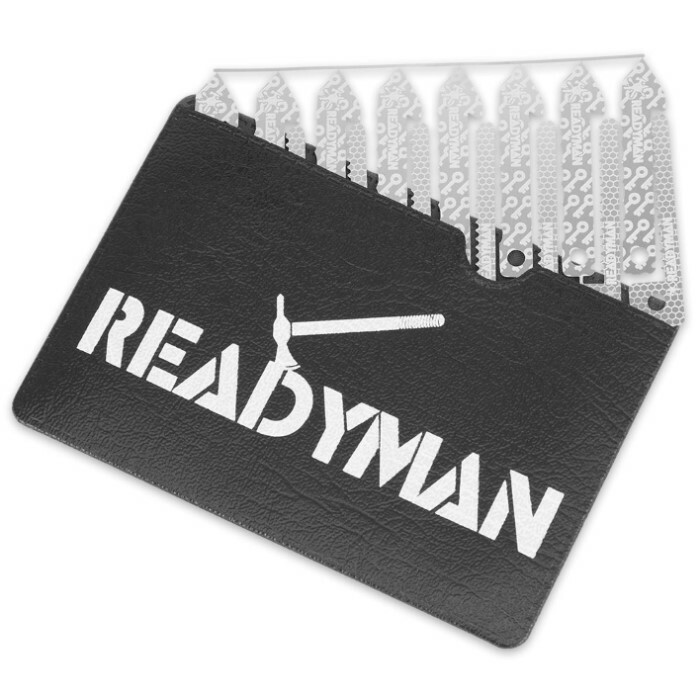 Readyman Lock Blocker Access Denial Card | BUDK.com - Knives & Swords At The Lowest Prices! 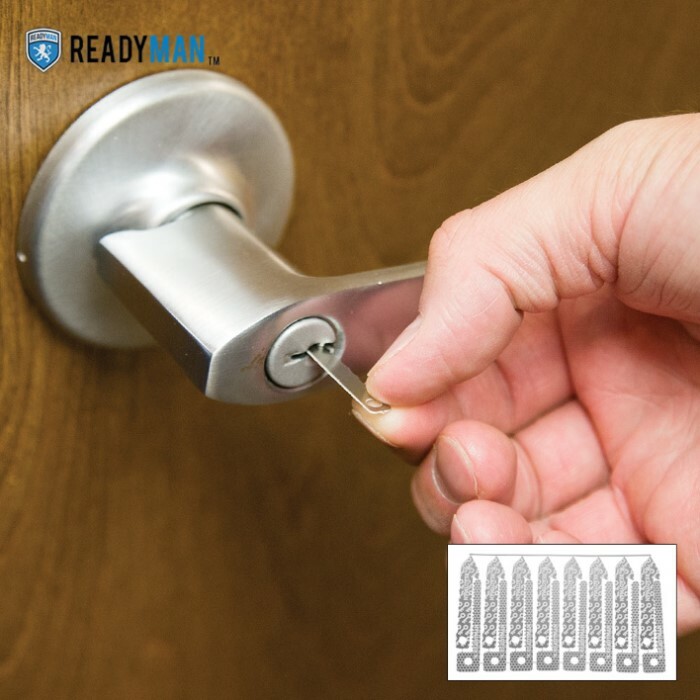 The Lock Blocker Access Denial Card is our latest EDC gadget that is sure to be handy for real-world uses or pranks around the house! It can single-handedly deny access to eight locks all on one card! The premise is simple: You can slip in the “Hook” portion of the Lock Blocker and you will prevent anybody from using a key to get in a door. Use the “Shim” portion of the Lock Blocker to move the pins out of the way of the hook and back the Hook back out of the lock plug. These can be re-used over and over again as they are durable stainless steel.